Leading soup brand New Covent Garden is set to get hearts racing with its new Soup of the Month – ‘Passionate Pepper & Pear Soup’ created by consumer and soup lover Katrina Michie. February’s ‘Be My Valentine’ themed Soup of the Month is the second soup to have been created and voted for by consumers, via New Covent Garden’s ground-breaking social media campaign. 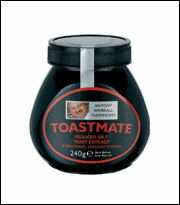 Members of the brand’s online community are invited to submit their own recipes based on pre-selected themes, which are then voted for online. Consumers are still encouraged by an on-pack call to action to submit their recipes for future Soup of the Months at www.newcoventgardensoup.com, where recipes, tips and a blog are encouraging further engagement with the brand. 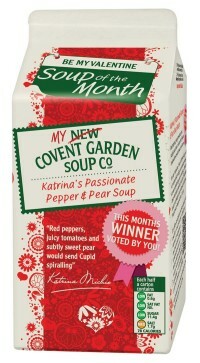 Katrina’s Passionate Pepper & Pear Soup will be available until the end of February 2012 with an RRP of £2.20 in outers of six.